Houghton Mifflin Harcourt, 9780151010790, 304pp. Meet arson investigator Billy Nightingale and his brother-in-law, Officer Sebastian Bly, who are called in to investigate a house fire that killed two young children. Suspicious details at the fire scene-and the discovery of a baby hiding underneath the porch-put Billy and Sebastian on the trail of a murderous mother while Sebastian and his wife, Annie, raise baby Meredith without revealing her dangerous and frightening past. Meredith grows up to be a promising young ballerina- her ambitions fueled in part by the fictional past that Sebastian and Annie have invented for her. But the truth threatens their charmed family circle as Merry's biological mother returns to finish what she started. 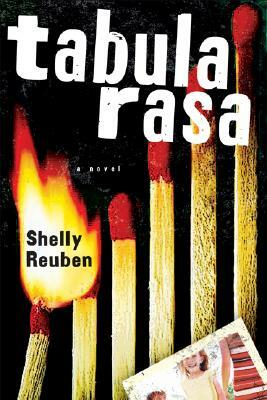 Tabula Rasa is not only a gripping and entertaining crime novel but also a sensitive, warm exploration of the deeper issues of what defines a family and an individual.